Preheat grill or oven to 375ºF. 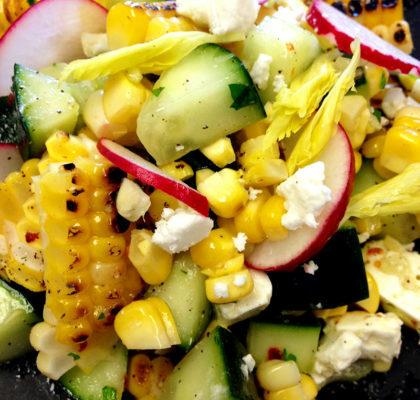 Grill or roast corn in the husk or wrapped in aluminum foil for 20 minutes; set aside to cool. Cut kernels from 3 of the ears (makes about 2-¼ cups). Cut remaining 2 ears crosswise in 2-inch pieces; reserve. Meanwhile, in a medium saucepan over high heat, bring broth to a boil; reduce heat to low to keep broth warm. 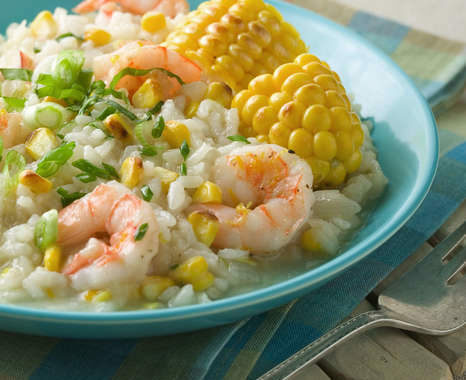 In a bowl, toss shrimp with rind, salt and pepper. In a large saucepan over medium heat, melt 2 tablespoons of the butter. Add shrimp; cook and stir just until pink, about 3 minutes; remove to a bowl and reserve. In the same saucepan, melt remaining 2 tablespoons butter. Add onion and leek; cook and stir until tender, about 5 minutes. Add rice; stir until combined and rice is hot. Add wine; cook and stir until the wine has almost evaporated, about 4 minutes. Add 1 cup of the warm broth. Cook, stirring continuously, gradually adding additional broth as it’s absorbed until all the broth has been incorporated and the rice is tender and creamy, about 15 minutes. If additional liquid is needed, add 2 tablespoons of water at a time until creamy. 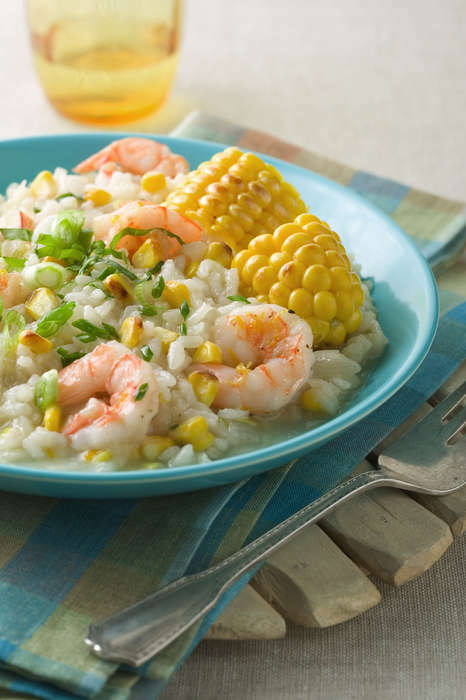 When the risotto has finished cooking, stir in the corn kernels, shrimp and scallions; cook just until reheated. Divide risotto among six dinner plates. 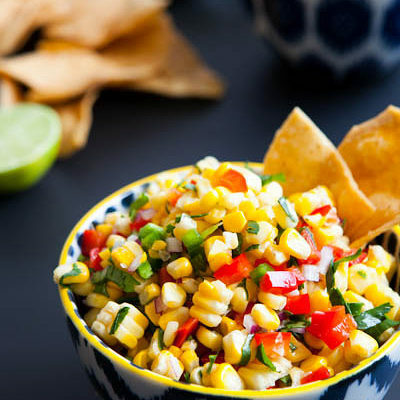 Garnish with reserved corn sections, basil and chives. 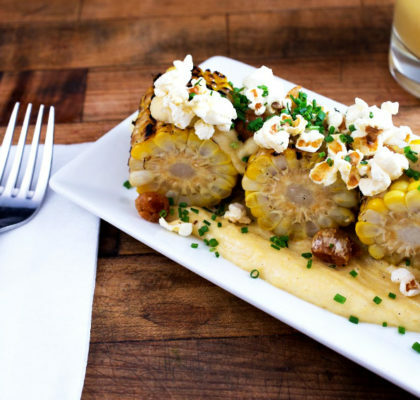 Tampa chef Chris Ponte of Cafe Ponte inspired this restaurant-quality dish that is easy enough to make at home. 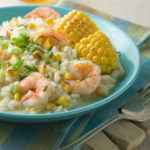 Fresh corn kernels add a sweet crunch to this creamy risotto with citrus dusted shrimp.